Spud is a 4 ½ year old purebred Irish Draught gelding. Spud’s an easy horse, his temperament is quiet, not being worried or disturbed by much. He was broken in as a 2yo, and then turned out to mature. Currently he is with Darren Green for education and the purposes of sale. 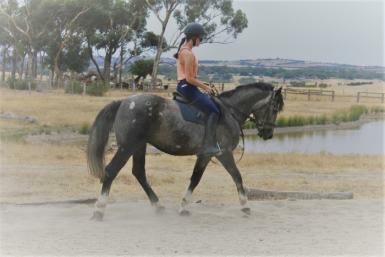 He’s 15.1hh, and I doubt he will grow much more. He is green and has been in work for a month, where he has done flatwork, jumping natural obstacles and showjumps. 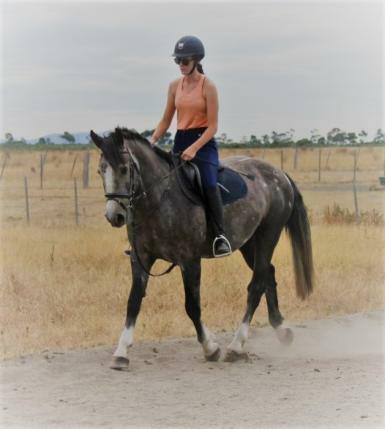 When being broken in he was hacked around the farm, herded cattle, was ridden in a bush setting and on dirt roads, being well behaved during all. No buck, rear, bite, kick or bad manners. Easy to catch, float, shoe. Teeth, feet and vaccinations up to date. 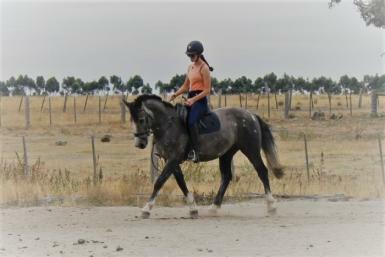 Fully registered with the Irish Draught and Sport Horse Society of Australia, microchipped. 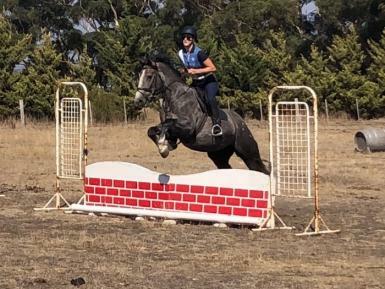 Great no fuss horse for a smaller adult, or an established teen that doesn’t want a giant, and is willing to educate and bring on a young horse. 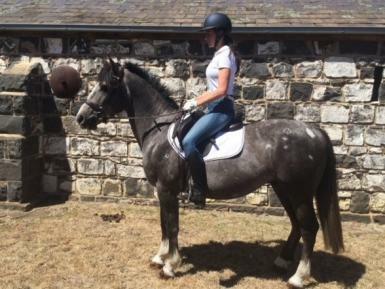 Spud will suit eventing, showjumping, hunting, ARC, PC. His sire and dam are both imported from Ireland. Both sire and dam combine rare Irish Draught bloodlines, his dam of Crannagh Hero (Ire deceased) and Crosstown Dancer (Ire deceased), and of course Crosstown Dancer is the sire of our Irish Sport Horse stallion, Icarus Frosty. $13,500. Located Oaklands Junction, Victoria, 5 mins from airport.